The project file created for this tutorial can be downloaded here. Step 1: Inspect the layer in the Workspace Inspector. Tip: To open the FX-Chain in its own window click the expand button. Step 2: Choose an FX from the pop-up menu to replace / add to the current chain. Tip: FX are listed by category. Use the Asset Manager to create your own custom groups for frequently used FX. CoreImage, Quartz Composer and FreeFrame / FFGL FX formats are supported. Changing the FX on the inspected layer. Step 3: Use the Local Preset UI to quickly store and reload FX settings for the layer. Click the + button to store the current chain. Click the name of a stored preset to reload it. 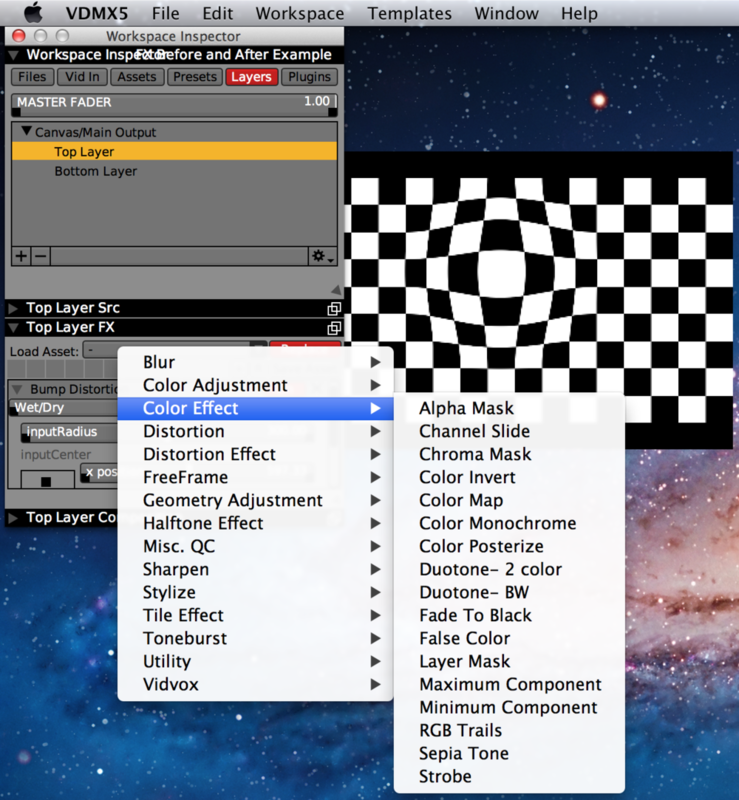 Next in this series, check out using the layer mask FX or making custom FX with Quartz Composer. Example setup with before and after preview windows.